Topps has revealed a new Star Wars trading card collection, titled Journey to Star Wars: The Last Jedi. 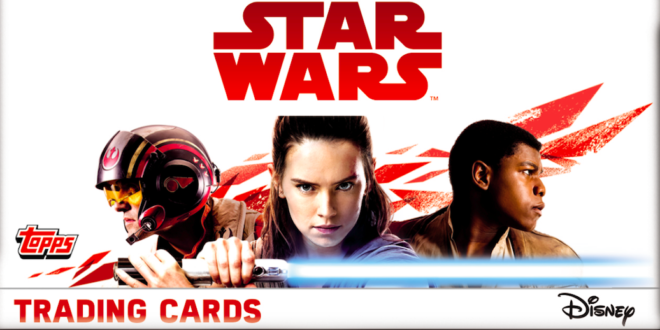 With over 200 cards to collect, Star Wars fans and collectors can prepare for the upcoming movie as the Journey to Star Wars collection guides fans through new characters, planets, spaceships and stories. Artwork, fun facts and character bios all feature among the collection as Journey to Star Wars looks back at the rich heritage of past heroes and moments frm the franchise. Louise Ramplin, head of entertainment marketing at Topps, said: “We are really excited for the release of our brand new Star Wars collection, Journey to Star Wars: The Last Jedi. Starter packs will retail at £4.99, including a collector binder, poster checklist and one packet of cards, including one limited edition. Individual packets will then be sold at £1.